"How can I wear black without looking like I'm dressing for Halloween everyday?". Well Sandra*, not that there's anything wrong in looking like you fell straight out of American Horror Story's "Coven" (in fact some days it's what I'm striving for) BUT, I hear you. Whilst dressing in head to toe black has it's perks - for those who are looking to elongate their silhouette or simply say "Don't mess with me" it's an essential part of everyday dressing however - some days it can cause you to tow a fine line between Olsen twin chic and Matrix extra. The good news is that the ways around this are relatively simple and, if done just right, should allow you to have a relatively timeless capsule wardrobe system - which let's face it is not only bank friendly but also good for the planet. Everyone's a winner. *names have been changed to provide anonymity - and also because I really enjoy using random names in my anecdotes. Now This does deviate away from "all black" slightly BUT with the current trend of animal print I'm talking a print that is so neutral it's only going to enhance your wardrobe - and not make you look like a 2006 scene kid on MySpace. (Does it pain me some of you won't have a clue what I'm referencing? Does it make me feel ancient? Yes, yes it does.) Picture this: black blazer, black top, black washed jeans and BAMN snake print boots. Killing it. A leather jacket mixed with a linen black playsuit or blazer combined with faux leather leggings are some of my favourite all black looks. It took me a long time to figure out why before coming to the conclusion that TEXTURE really is so key to an all black outfit. It breaks it all up without actually breaking it up, y'know? 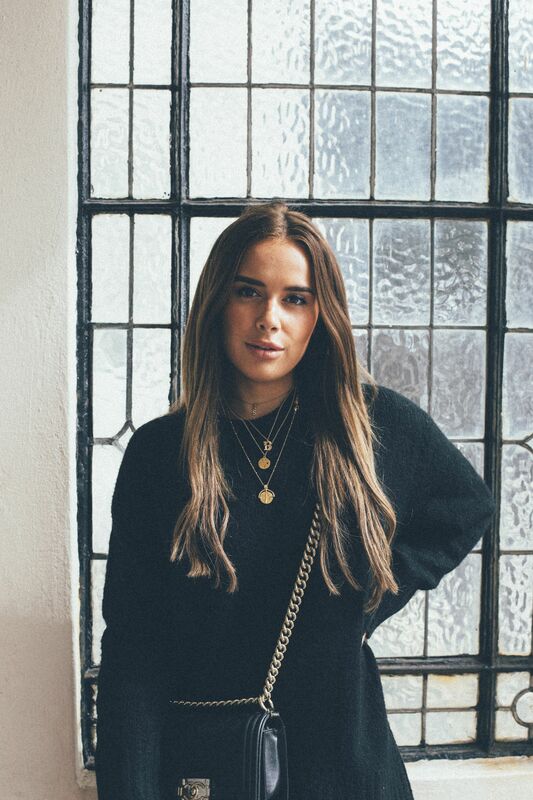 Jewellery trends change regularly, and if you're leaning towards a capsule wardrobe way of dressing, this is a really easy and affordable way to update your all black wardrobe and make a statement with minimal cost and without taking up too much valuable wardrobe space. Getting the right shape to your outfit is so important to avoid looking like a bin bag - unless that's the look of course, no judging from me I love an Olsen twins all black oversized vibe more than most - and is easily done. I either balance my outfit from top to bottom on a loose/baggy to form fitting ratio (tights with a jumper dress or tailored cullots with a body worn underneath) or have a quality black belt to hand to synch things in a little. If that's not your vibe then go all out, rocking your oversized black knits with an oversized bag - go oversized everything and own it. Let's be real, black washes you out. I always look much healthier in white - think more tanned and glowy - but let's face it, all white is impractical and belongs firmly in the summer, it's not the one. So when dressed head to toe in black I always go a little heavier on the bronzer and a little warmer with my lipstick choice just to avoid looking like a "coven" reject. Next Post A note on being Bossy. Beautiful photos u look stunning, great styling tips so helpful. I definitely think when it comes to wearing black, accessories are key like you say! YES YES YES! I just love wearing black! I love wearing black… it’s all I pretty much ever wear. That and animal print. I absolutely love black color! 90% or even more of stuff in my closet is black. I am brunette with quite pale skin, so to balance the whole look I like some blonde highlights or ombre on my hair. ‘A leather jacket mixed with a linen black playsuit or blazer combined with faux leather leggings are some of my favorite all black looks’- I can only say the same with me. 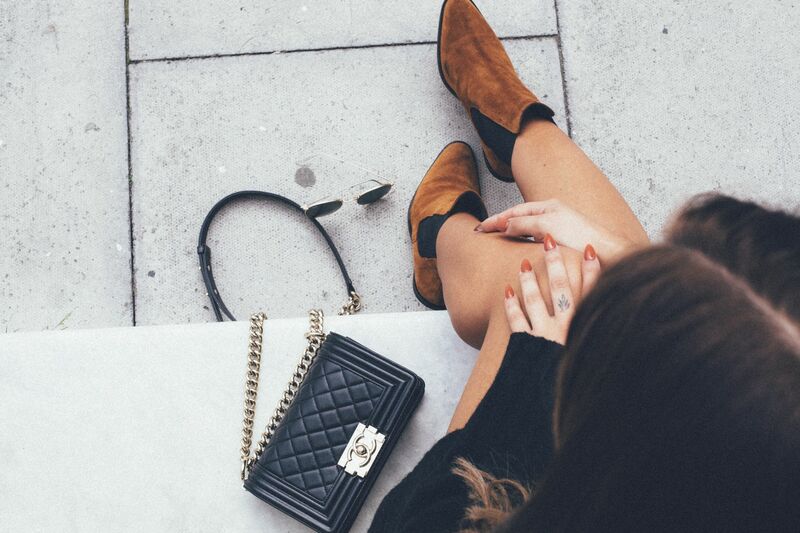 Another thing suede boots-simply the best. Great pics, and love the tips! The leopard print idea reminded me of a black satin skirt with black velvet leopard spots. Absolutely amazing, I’d totally wear it with another black piece. Actually, I love this post. All the photos are wonderful and you look beautiful in black. I like your bag a lot. You are a fashion idol and inspiration for me.